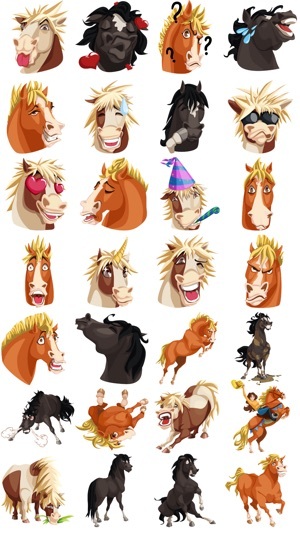 Have fun expressing yourself with these unique horse emoji. 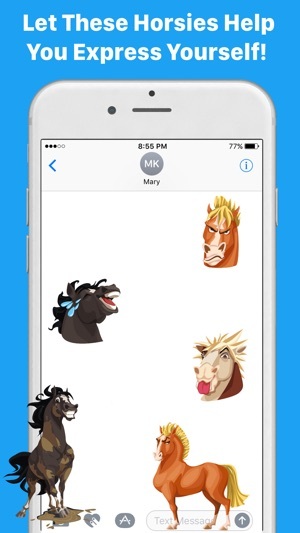 The #1 emoji app for horse people! Works with iMessage, Facebook, WhatsApp and any other messaging app. The emoji can be send directly from the Messages app or by using a keyboard. For the keyboard “Allow Full Access” has to be turned on. Please note: HorseMoji+ will NEVER collect any personal information or transmit anything you type over any network. Turning on "Allow Full Access" is simply an iOS requirement for third party keyboards. Need support? Tap on the Support button in the app! Perfect for us cowgirls and cowboys. The emoji are super cute. I mostly use them in imessage but they can also be used in other messaging apps. 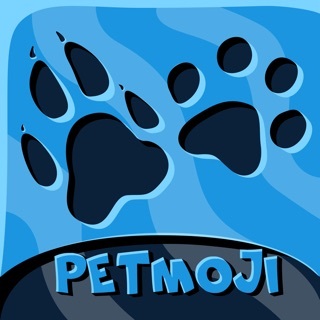 Would definitely recommend getting this app! No horses. No text. No numbers. It won’t scroll to the side. 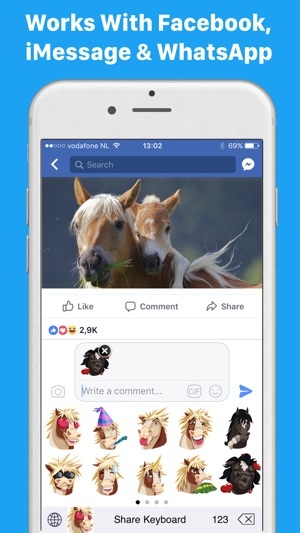 It shows nothing but a thin bar showing a horse face, a link to tap to invite your friends, and 123 at the very bottom. Very disappointed I paid for this crap. This might be because your iPhone didn't install the app correctly. Unfortunately, installation issues can occur every now and then with any app. Could you try deleting and then re-installing the app? And if you have not yet done so, after re-installing please follow the instructions on how to use the emoji which can be found when tapping the How To Use button in the app. If you are still having issues after re-installing and following the instructions you can contact us at support@appliberty.com for support or simply reply to this message here. We'll be happy to help! Running ios 11.2.5 on iPhone X. 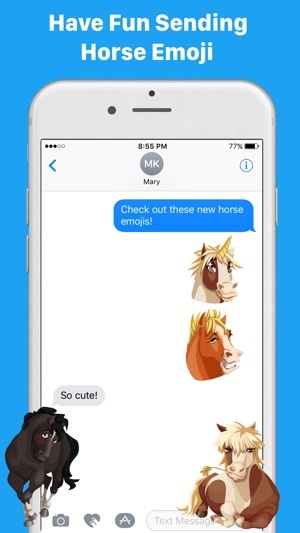 After horseemoji keyboard is selected an emoji shows next to the world symbol but no keyboard shows up and the only thing that can be entered is a link advertising the app. Complete rip-off. Hi there, sorry to hear you´re having trouble with the emoji. Could you please try re-installing the app and see if that solves it? If not, please send us a message at support@appliberty.com or tap the Support button in the app and we'll be happy to help you solve this issue!